Building a commercial deck shouldn't come with a truck full of problems. However, concerns such as safety, performance, and of course appearance are all important factors to consider when constructing a city, or commercial deck or boardwalk. Here at CommercialDeck.com, we understand these concerns and are in a strong position to actually provide material support for your deck-building project. 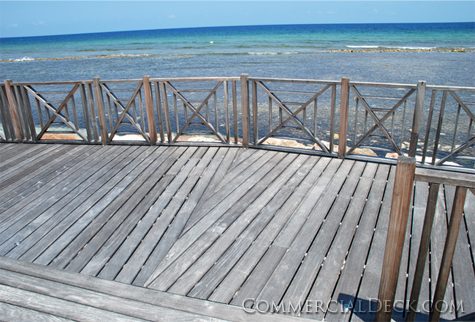 Why buy wholesale commercial decking from us? We sell the finest lumber and decking tools available, so let us help you build your commercial deck. Order commercial decking from us today!